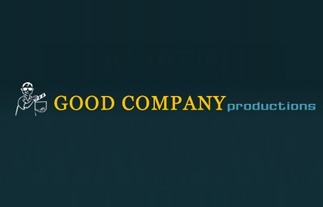 Based in the heart of Ireland, Good Company Productions was founded in 2004 by Producer/Director Evan Chamberlain and has steadily built itself into a highly successful independent production company with output immediately identified with popular and award-winning programming, light entertainment, reality, sport, music, travel, and now also emerging into digital media. Good Company needed to showcase their portfolio but also reach a limited international targeted audience. The business model is based on selling TV formats, new and unique or selling proven formats internationally. Good Company also wanted to explore the development of Video production for commercial use with digital media. Be found, showcase and then engage with the audience. Good Company did not wish to engage at a programme level so needed to be sure the leads/conversions generated were B2B and not about the content within the programmes. With emarkable we identified the ideal client. Analysed the competitors and examined the emerging trends in this space. This opened a lot of opportunities, heretofore not examined. A showcase was important, YouTube and other social video sharing platforms were utilised and content optimised for maximum exposure (Reach). The website became the hub and main calling card but LinkedIn proved to be the most proactive platform in terms of contact acquisition. LinkedIn has also become very important in the nurturing process with key contacts at key times. Good Company is able to maximise time spent at international events using LinkedIn. Industry specific portals similar to LinkedIn have also provide opportunities. This is a prime example of a niche service, high quality and professional with a limited audience and with a potentially long buying cycle. 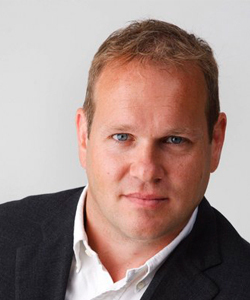 Relationship building using social media tools, reach tactics on Google and other platforms and showcasing material in a professional way has allowed Evan to develop an online network that has allowed him to grow substantially. The experience of digital marketing has allowed Evan and his company to examine the growth of video in internet consumption. With some commentators suggesting that 90% of digital content will be video in the future, Good Company has engaged with a number of companies in developing corporate videos. Videos that are professional and of broadcast quality.